We live in a society where technology dictates the past, the present and the success of our future. With the use of smart phones, ipads, computers, and other devices, technology is expanding faster than ever, all while connecting us in what some believe as the seven degrees of separation. 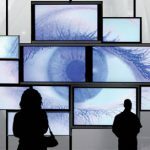 This technological growth has brought many new industries to the market including interactive digital signage software. In general, we are ignorant to the things that we don’t know. Many people often look at digital menu boards, touch-screen monitors, and video walls and say “gosh, that seems like it would be too expensive.” But is it really? The truth is……Interactive Digital Signage software can be customized to fit the most discriminating of budgets. So many companies reach out to Intermedia Touch Inc., which is an interactive digital signage company that provides solutions to fit any business or marketing need. Whether you are looking for a wayfinding, storefront, video wall or kiosk, Intermedia Touch has solutions that are adaptable, affordable, and impactful. The truth behind interactive digital signage is that it is engaging, affordable, customizable and most importantly impactful. With that said are you ready to go interactive?